Our director of business development, Doug DeLong joined Czero after 16 years in the automotive industry, first at Ford Motor Company and then BorgWarner. He has special expertise in technology strategy and forecasting, product portfolio management, and taking projects from concept to market launch. Doug launched his career as a product engineer at Ford, after earning a mechanical engineering degree from the University of Florida. His work at Ford included what some—and Doug—would consider one of the best jobs ever: getting paid to drive Ferraris, Vipers and Corvettes, fast, to benchmark competitor performance for the Ford GT supercar development program. Back at the office, Doug became lead systems engineer for Ford’s 3.0L and 3.5L V6 engine upgrade programs, where he managed early prototype development, testing and validation builds. 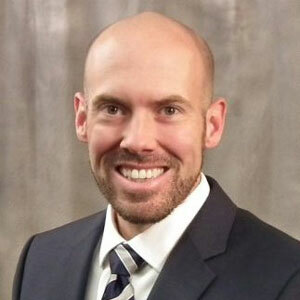 He later joined BorgWarner as an application engineer in the Commercial Diesel Turbocharger Division, eventually becoming the director of application engineering. I want to see things with a pathway to production, with a balance of design creativity and practical application. There are always tradeoffs in engineering, in what’s optimal from a purely technical standpoint versus a production standpoint versus a market standpoint. A big part of product development strategy is knowing when to compromise, when to change course and when to invest in innovation. Doug next served as the director of BorgWarner’s Commercial Vehicle Engine Systems & Thermal Management, then as director of Analytical & Systems Engineering. In these roles he had the opportunity to analyze, map and shape future automotive technologies by initiating new product R&D based on 10-year technology forecasts he and his team developed. Now, at Czero, he’ll be helping our clients to do the same across a wider range of applications and and industries. Some of the biggest things on the horizon right now are in powertrain electrification; fast-action hydraulics and actuation; sophisticated energy recovery systems; and hybrid systems tailored for different vehicle types, drive cycles and cost criteria. Fuel economy and environmental regulation are big innovation drivers right now, and Czero works right at that convergence of automotive, fuel and clean technologies. It’s an exciting time to be part of nimble, well-equipped innovation house like Czero that’s accelerating development of market-ready energy technologies. 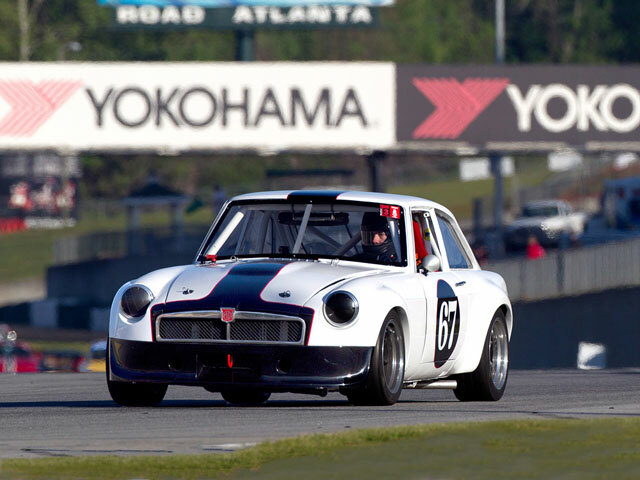 Doug has competed in vintage road races since the ‘90’s, in a 1973 MGB GT, which he and his father converted from a 1.8 L four-cylinder model to a V8 in 1998. Doug recently installed a Rover 4.0L V8 engine expected to deliver around 320hp. For those unfamiliar with vintage racing, the rules restrict racers to preparing cars as they would have been for racing during their years of manufacture.